Emergency funds are a great essential to have in your life if a financial crisis ever hits you or your family. When you have money put back specifically for emergencies, you have a peace of mind that many people don’t have because they haven’t planned that far in advance. Having a separate savings account set aside for financial disasters will keep you from having to worry about money during the actual emergency. But what actually constitutes an emergency? If something is affecting your health, you could count that as an emergency. Health care costs can be astronomically high if your insurance won’t cover your bill. 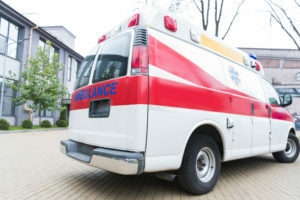 Emergency Room trips, hospital stays, med-flights or unexpected purchases of medication or medical equipment would all qualify as events in which it would be appropriate to take money from your emergency fund. Car problems or repairs can also be costly in some situations. If you find yourself needing a new transmission or your engine fixed, you could be looking at thousands of dollars in repairs. This would be another situation in which it would be ok to take from your emergency fund. Perhaps the biggest reason for an emergency fund would be to have money in place in case you or your spouse ever lose your jobs. That’s why the rule of having 3-6 months of expenses is thrown around in financial well-being conversations. If you were to lose your job, you would have 3-6 months to look for a job because you have the money to live on in your emergency fund. That way, you can take your time and not feel like you have to take the first job that comes along because you need the money right then. It needs to be said that your emergency fund should be separate from your other savings accounts. You don’t need to mix the two. It’s important to save for other things as well as emergencies. So what isn’t an emergency? Basically anything else not mentioned above. Things like gifts for birthdays or holidays, items on your “want” list or shopping sprees definitely do not qualify as emergencies. Likewise, expenses that can be planned for do not qualify as an emergency either. You know your mortgage is due the same time every month–just like most of your other bills. If you can’t pay your bills out of your paychecks, you need to look at getting a budget and downsizing a bit to a lifestyle you can afford. Taking money from your emergency fund for non-emergencies will only hurt your financial health efforts in the future. So next time you think about taking money from your emergency fund, ask yourself if it is a true emergency. If it doesn’t qualify, you don’t need to pull the money from your emergency fund. Any and all rates mentioned are subject to change without notice. WCU Credit Union membership is open to those who live, work, worship, or attend school in Morgan or Lawrence county, AL. WCU Credit Union is NCUA insured and an equal housing lender. Unauthorized access or use of this web site is not permitted and may be punishable by law. Website by Pro-Computer Services, Inc.